Leo, congratulations on the ten year anniversary of this blog. Many people enjoy the fruits of your labor. Your posts are always well thought out, well written, and informative. Thank you for your contributions to our city. We are glad you and your family are here and that you plan to stay. Safe travels on your business trip. Great points, here. I agree 100% that we need to put more importance on preserving some of our oldest buildings. Point #7, about not wanting to see the “ole girls” on Hargett go just to make room for wider, boxier buildings is a must for me. 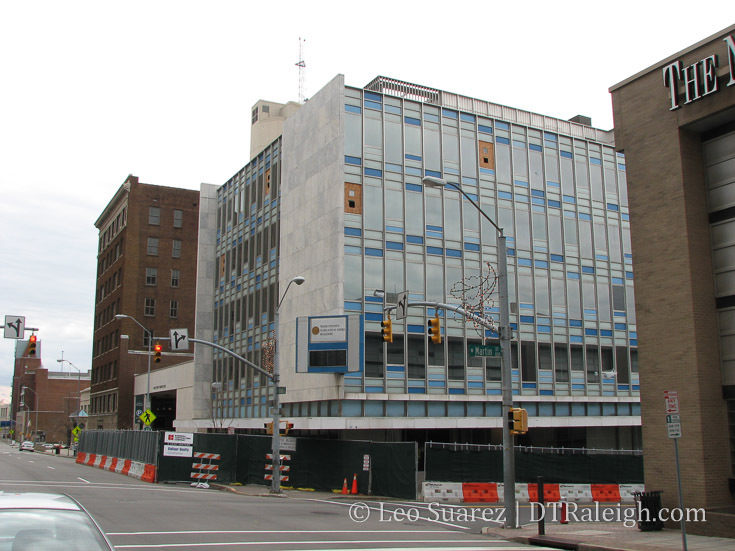 Recently, Hobgood had a render for a really unique looking building they thought would look cool between the Furniture Building and that blue building on Hargett, and I would love to see something like that materialize someday. Also: thank you for keeping this blog up so long! I have been tuning in for quite some time now. My family moved to NC 9 years ago this July, and I have lived in the downtown Raleigh area for about 4-5 years now. This blog has always been my go-to for keeping up with developments, new ideas, and other residents’ thoughts. Thanks for being such a Raleigh advocate! First, I think we can all agree that we love this site. I’m glad to know there are other people who care about our city and our downtown. Leo does a great job. I agree with Jake about the Hobgood-style potential. There are two great proposals for that side of town, the cantilevered building he mentioned, and the Eye of Sauron (I mean that as a compliment) across from Skyhouse. Those kinds of developments, that fit between existing buildings, would be a great addition. Some places, like the F&M Bank (right next to that pricey parking lot) could be redeveloped, but old structures like the Mecca need to stay. Thanks Leo So Much For This Blog ! WOW ! 10 Years ! Every Article That You Write Is Very Well Prepared & Important ! Super Information ! Thanks a million for what you have done with this blog. The discussion community also deserves praise. What a wealth of information to be found here! I’ve been here for all 10 years, originally coming from Raleighskyline.com and skyscrapercity’s boards. Let’s keep the discussions going! I read this every day of the week and love keeping up with what is going on in Downtown Raleigh! Thanks for everything! Like a broken record, I’ll chime in with my Thank You! and Congratulations to Leo! I’d also like to thank all the wonderful people who engage in the banter, debate and celebration here in the comments. It’s this enthusiasm that breathes life into the website and makes me feel like people care about our city! Congratulation on the anniversary, Leo! Thanks for all you do for Raleigh and for us. I’ve been checking this blog basically every day for at least 9 years, and it helped get me excited enough about the projects going on downtown to move here back in May 2009! Congrats Leo for all your hard work and desire for a better Raleigh. Email or Drop by my office anytime I will buy you lunch at Vic’s. I lived downtown and used to ride the R line downtown and then walk home after work. I miss those days. I have looked at and seen a lot of changes. We have just seen the beginning. 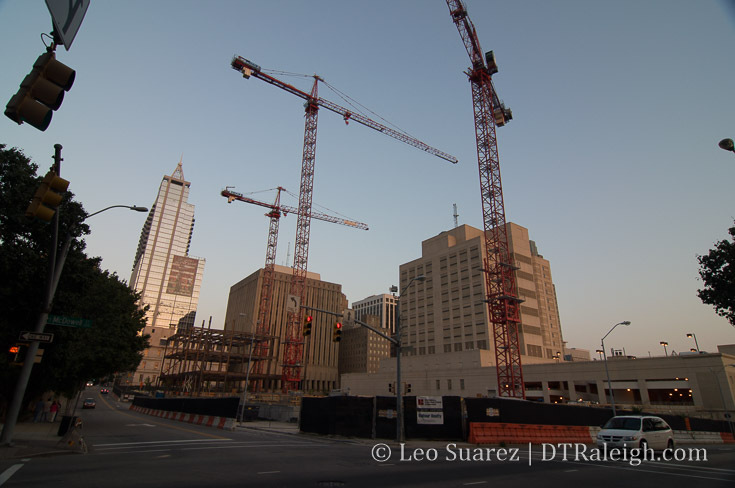 There will be cranes for One Glenwood, 301, and 400 H soon. Smokey Holley will change the world as will The Dillion. Hopefully our city leaders will have a vision and make the old city garage a river walk with restaurants overlooking from West Street. Thanks for all who contribute to the site. BC, I think I’ll take you up on that. Thanks a lot. Mark, I tinker with side projects like that all the time. Most are for learning experiences and are usually never public but that is something we’ll have to chat about some time. Leo, next time you’re in Miami, hit me up and I’ll take to you lunch as well. We all owe you at least one good meal! Leo, Congratulations!!!! Whether I am very critical of developers or not, approve or disapprove of comments, do not agree or disagree with project renderings, this site has ALWAYS been a great site for input and feedback of OUR amazing downtown Raleigh area (the grow is sick and the future of Downtown Raleigh is SO EXCITING) and continues to get better. This area WILL BE GREAT once completed!!!! If they now CAN FOCUS ON a building that is 35-40 stories or a couple of very high towers on the remaining land they are acquiring, this could be a NEW area of downtown that is a beautiful DESTINATION!!! This has the potential to be a GREAT AREA of OUR downtown!!!!! Thanks for posting that link. I’m glad Kane’s getting more involved downtown. This site is almost all of West St between North and Peace, which, even if it’s a series of 12-story buildings, would radically alter the neighborhood, and push Glenwood South all the way to Capital Blvd. Hey @Steve. Yes, I am very happy he coming downtown as well! Hopefully there will be great things to come for the smokey hollow site. With this announcement, 301 and 400 Hillsborough, there will be almost a continuous string of new development along Harrington St.
Really digging the new Smokey Hollow render (SO MUCH BETTER than that horrible initial one). Also very glad to know Kane bought out the West apartments lots – that would have been such a damn waste to build more stick-built 6 story apartments in what could be and should be a highly urban area that will eventually connect downtown proper to Glenwood south, Seaboard station, and West st in a huge way. Hoping he tries to rezone, though. 12 stories would still be sweet here, but in the area around Quorum Center and the West Condos building, something much taller really wouldn’t look out of place at all! Also, with One and Two Glenwood (eventually) right up the street, along with the Hillsborough developments mentioned by Justin above, this area is going to change dramatically. It’s pretty amazing, really. Congratulations Leo!!! I always love reading your posts about everything going on in downtown Raleigh. You do such a good job of keeping us informed :-) 10 years is a huge milestone!!! Wishing you all the best. @thenighthawk: thanks for the link to Cline Design for more info! In keeping with Leo’s remarks about the importance of street-level ambience as being more important than building height (a point that I strongly agree with! ), let it be noted that Smokey Hollow’s current plan includes 61,000 square feet of retail. I don’t know if that sq footage includes the possible Publix grocery store, but the plan certainly looks good for quality of street-level experience. BTW, along with all of the other good news, TBJ reports that Citrix has completed its merger with LogMeIn, and anticipates seeking office space “likely downtown” for over 400 ADDITIONAL employees. Citrix: This is a no brainer. Instead of Kane building a 7 story apartment building across the street from Citrix (the empty lot next to the warehouse that will be a new Farmers Market), build a large office tower with apartments and (2) levels of retail (facing the 3 streets)!! Thank you and congratulations, Leo. I’ve been following this blog from the beginning when I was still in college out-of-state. Ten years later I’m a Planner and your blog has always kept me aware of what’s going on back home in Raleigh. To your point about ‘good bones’, few cites have had the will to successfully establish these good bones in the present. We should all be advocating for sound urban design and planning in all parts of Raleigh. The value of ‘good bones’ — connectivity, scale, design, etc — is becoming clearer as our city (and state) grows. Thank you Leo for providing a place for all of us to explore these ideas. Congratulations! Your writing is simple and informative. It makes for an enjoyable and easy read. It makes it really easy for us readers to get excited about our community. Thanks! Congrats to you Leo. I always enjoy your posts! On a different topic Fox Sports is reporting that Sacramento’s MLS bid may not be such a lock after all due to an emerging ownership dispute. The remaining 11 proposals all come with some degree of uncertainty as well, primarily due to funding gaps for a stadium. Miami, as the assumed #24 team, still doesn’t have a stadium site worked out. The MLS recently pledged to stay the course but clearly can’t wait on David Beckham forever. Enter Steve Malik with his strong commitment to privately fund our stadium. Factor in also his demonstrated commitment to the sport via his recent purchase of the NWSL Flash (Courage). I think we all know and appreciate how strong local support is for the game as well as the high calibre of collegiate play here. You know, I’m starting to think that we may … repeat MAY … have a decent shot even though Phoenix recently entered the hunt. The big unknown for us still is the stadium plan but according to Steve Malik the Gensler-designed facility with a reported translucent roof is going to be absolutely jaw dropping! Our stadium proposal needs to be compelling and it needs to be downtown where the MLS prefers it to be. We also need to show the resolve to move forward on the downtown plan quickly with little political wrangling or delay. I hope City of Raleigh officials are all over this opportunity like there is no tomorrow because there actually might not be a tomorrow for us. We are one of the smallest markets. The many larger cities competing against us are going to get their stadium acts together probably sooner rather than later. God forbid Charlotte is awarded a franchise. The iron is hot and we need to strike now. I can hardly wait for the plans to be released! Please, Steve, do it soon so the community can get behind this project in a big, big way. Why the delay in releasing the three renderings? Didn’t all of the other cities release renderings with their bids? Wholeheartedly agree Steve! As I’ve stated before, BUY a season ticket or two to show your support folks!! Its not that expensive. If you don’t go, you can just give them to a friend. They are very inexpensive compared to the Hurricanes or Carolina, State, or Duke basketball/football. Plus it will give you rights for seats in a new MLS stadium! SHOW YOUR SUPPORT WITH YOUR DOLLARS!! IT MATTERS!! @Robert – I suspect the strategy is to avoid making a half-baked announcement. This will serve us well but time is a ticking. There is a dearth of national news coverage of our MLS plans. That needs to change to a deluge. @ Stew , Since baseball has not worked out , I’m very much a supporter of a downtown soccer team & stadium ! Because I do hope for MLS , I talked to Councilor David Cox , District B . As of last week , David said that he has not heard a word about the City & Mr. Malik’s soccer proposal ! I’m guessing on this , I would think that @ least our Mayor & Jimmy Goodmon are talking ! I was so surprise when David said this ! I really thought that the entire council would be very involved @ this point ! @Robert. This TBJ article “$150M price tag doesn’t deter Triangle’s bid for Major League Soccer” might be what you’re thinking of. It wouldn’t surprise me in the least if Durham steals this out from under our noses. They have way more underdeveloped land DT than we do. They have tons of large surface parking lots. It they succeed, they’ll have baseball and soccer downtown while we have nothing. They’ve already taken traveling broadway plays too. @John 532 , I have wondered about this also , especially since David Cox said that the council has not discussed a soccer project ! Considering that Raleigh is their twitter background image, that would be a dirty trick. I can’t imagine Durham is in the running. Granted, I’ll probably never attend an MLS game, but I think the bigger media markets are probably the biggest threat. Tuesday’s Council Meeting Feb. 7th Agenda shows a Closed Session : , Hopefully Soccer will be discussed ! Are. You. F***ing. Kidding. Me. Huge missed opportunity for the city and all involved if true. I really hope we hear something soon that provides more clarity. I would be fine if we missed altogether rather than Durham get it. I would NEVER go to a soccer game in DT Durham. I would go if it were DT Raleigh though. Yeah, that’s probably the University Kia lot next to the ATHD. I couldn’t care less about soccer, but I think this would be a huge mistake for Durham. They’ve got the chance to create a whole urban neighborhood between the tracks and the Freeway, and this area is prime real estate. Better to spruce up a lagging area like Cargill. In other news, some luxury rowhouses were announced for New Bern St downtown. They’re totally different from anything I’ve seen downtown before. Does anyone have a link to the row house project? Supposedly, Malik was interested in the Cargill site for the stadium but determined it wasn’t feasible due to the railroad tracks. I’m hearing conflicting reports regarding the location. New Raleigh is claiming DT Durham, yet at the NC CEO forum, they said DT Raleigh is one of the three choices not DT Durham. Nelson Dollar sent out this tweet today … Had a great chat w/ @stephenmalik about his vision for @NorthCarolinaFC & Raleigh. Look forward to working w/him on #919toMLS! FWIW he’s not talking about Durham. @Paul I don’t understand why railroad tracks would be a problem at Cargill? Could it have been Gateway instead? It could be a DOT stipulation…Is there an active track there? Heritage Park makes the most sense at this point. That’s a big valuable piece of land relative to how many residents there are. A complex like that does not belong 1/4 mile from city center. It’s structured like a suburb community. Relocate those citizens with the money it would cost to purchase that land. @Daniel – I think moving residents from Heritage Park would turn into a huge political football (no pun intended). People don’t take kindly to being removed from their homes in general but especially when the reason is to make room for an entertainment venue for those of greater means. I also wonder how the Boylan Heights neighborhood might react to the prospect. I think the NIMBY’s would come out in droves. They’d worry about increased traffic endangering their children, parked cars blocking their driveways, litter left behind, excessive noise, etc., etc., etc. I saw these very sorts of issues raised (and more) when St. Aug’s was pitching their relatively modest football stadium proposal to adjacent neighborhoods. Having a stadium plan in place with a ready to build site is a primary selection criteria. We can’t afford drawn-out political battles if we’re to have any hope of winning a bid. I’ve gone around and around and around on google maps and mapfrappe looking for the hidden answer that was “in front of my face all along” and have yet to find it. Political time bombs and nimbyism not withstanding, Heritage Park is the best location in the city IMO. But, as others have said, the problem is that location is a political time bomb. The three downtownish sites that I keep going back to are 1) The Keeter Training Center site across from Cargill, 2) the Dix Hill property adjacent to the Farmer’s Market and 3)The Penmark Drive site just north of 40 in the area that the city is keen to develop as the gateway to the city. @John532 Somebody mentioned Malik’s interest in warehouse district. So how about the site between Dupont and Cabarrus? It’s big enough to fit the Children’s Mercy Park Stadium. The parking deck can reside between Southwest and Saunders. Other parking decks are close-by. Historical Raleigh Station can be preserved and railroad can bring people from Cary and North Raleigh/Glenwood right on site. And the view is great! 1. The only measurement that can’t change is the regulation field size. So mapfrappe just the turf area and move it to Gateway. Shaping the surrounding stadium to the lot is the job of creative architects and engineers–like the Citigroup building architects built their tower around that church in NYC. 2. Malik has mentioned a need for infrastructure help from the city. Could this mean altering MLK and McDowell to allow even more room? Even if you mapfrappe the entire KC stadium, it would fit in Gateway with some street manipulation. Charlotte did this for the Panthers and the Hornets. Street sections can be altered without interrupting the city street grid. 3. Gateway displaces almost no one! No homes, no gentrification. The only building that’s there has already sold out to Exploris; I’m sure even Exploris has a price! @Will – “I’m sure even Exploris has a price!” – well said! Keep my fingers crossed! It would be wise of Malik to at least confirm the Raleigh sites because the New Raleigh post is generating a lot of negative publicity amongst potential fans. Also, regarding the rumored North Hills site, I’m guessing it would go in the land that Kane just purchased (St. Albans all the way down to Wake Forest Rd. Everyone keeps complaining about traffic issues. Do you think one of the infrastructure costs would be creating a new exit off of 440. An Exit 9 if you will. This may help prevent a Six Forks traffic catastrophe. I have no idea if this is even possible, but I’d like to hear your thoughts. Seriously, if Cargill can’t work because of the railroad tracks, how in the hell is gateway going to work when its plot of land is even smaller? I don’t know anything about the Cargill site not working because of the tracks? Why would that matter? In other news very sad that Guv cooper paused the sale of Old Rex site and the Blue Ridge site as I saw a preliminary site plan from potential buyer for old rex site at Wade & St. Marys and it was great. Better than NHE. Shame if he messes up that potential redevelopment. @Will, I don’t know all of the particulars but the railroads have a lot of say in regard to what happens near their tracks. This may include easements that extend a good distance from them to either side. As for the Cargill site, someone mentioned earlier that the Cargill site was considered by Malik but that the tracks made it a no-go. I’m paraphrasing here since I don’t know all the details. @BC, where did you see the site plan for the old Rex site on Wade/St. Mary’s? Do you have a link? I’d really like to see it. Also, a pause on the sale isn’t a cancellation and if a developer is keen to do something significant there, he/she will surely wait out a pause. That said, significant development like NHE at that corner would be a double edged sword. Neither Wade nor St. Mary’s a are equipped to handle to sort of traffic that a major development would bring. Neither road is built for high capacity and we don’t have a reasonable plan to support that immediate area with transit solutions. I’m more upset about the Blue Ridge Rd property being taken off the market. I live in Meredith Woods and I was really hoping for something good to happen with that land. It says they are on hold, not cancelled. 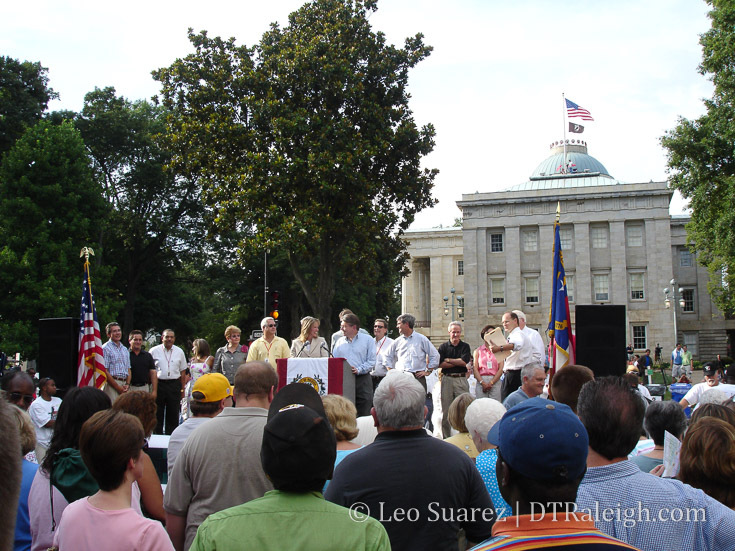 Without trying to start a political discussion, I didn’t like a lot of McCrory’s actions, but the development stuff was something I was behind. It’s somewhat surprising and disappointing if Cooper does kill some of these projects, but there must be a reason. I know the old Rex site was going to be many years out, still. I guess a short delay won’t affect that much. Cooper is a Raleigh resident and has been so for years. There are reasons behind the temporary hold though we may never know what they are but I feel confident he’s not going to let an opportunity pass to help his home City if he can. @Chad and Jeff, Thanks for the link to the story. For those who do not have a subscription to N&O, you can open the story in an incognito window on Mac. I had to laugh at the critics of putting the land sales on hold pending review. The assertion that this will devalue the land makes me suspicious as to the deals that the former administration was cutting. Even if there is nothing suspicious or backroom dealing going on, I think it’s prudent to take another look. After all, didn’t the former administration do the same thing when they took power regarding the Dix Hill property? 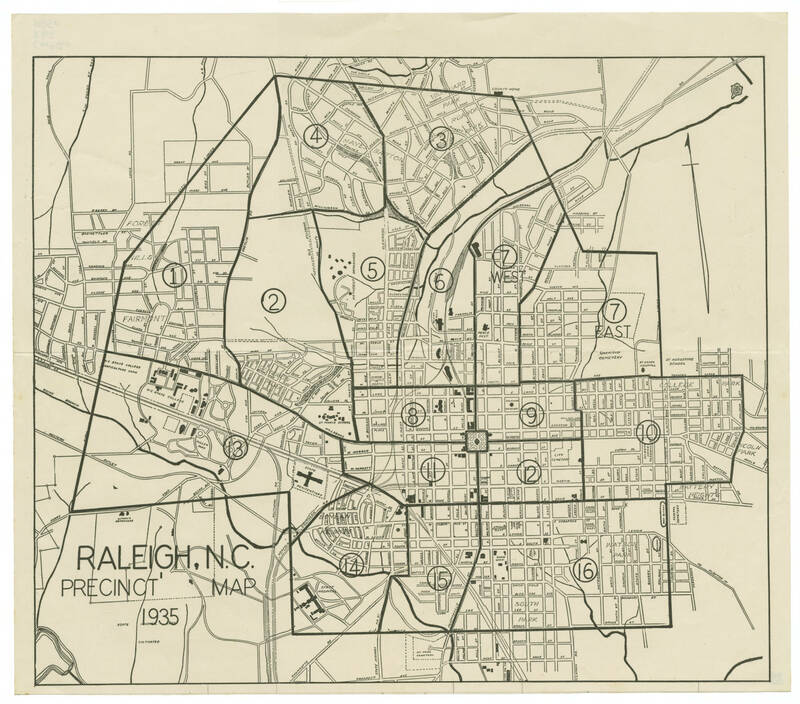 They ended up making sure that the city of Raleigh paid MORE for the land. These properties are in prime RE locations and aren’t going to become devalued over time. I’m not sure if the supposed RR tracks easement problem at Cargill is fact or urban legend. Wake County’s iMaps site has an easement layer and when I activate that I see no additional claims on land use. Looking at the parcel layer there is already a clear boundary defined showing ownership by the NC Railroad company. Holding this boundary there is ample space for a stadium provided S. Blount St. is closed with parcels to its east (owned primarily by Coggins Construction Co.) added to the mix. I don’t think the spur lines leading into the Cargill site would have easement issues. These tracks were laid to deliver supplies. I don’t think there would be a problem removing them if a need no longer existed but I’m no expert. Here’s a general article about RR easements that won’t clear up any issues for specific sites but it does talk about the general easement issue within the state. From the article, it says that easement corridors range from 60 ft – 400+ ft with most being 200 ft centered on the tracks. It says that the appropriate railroad must approve any development within their easement and charge rent to landlords that own land within their easements. @John532 interesting. Check out BoA stadium on google maps. That thing is built practically on top of the tracks on the west end zone side. That one spur looks like it might be 30 feet from the building. Just food for thought. …and that’s the same design scheme I was thinking of in my sketches…build the end zone side against tracks. …same with CenturyLink Field in Seattle. They must be paying air rights to the RR because that thing is built OVER the tracks. It can be done y’all. @John532 – Very interesting read on RR easements, thanks! Looking again at Wake County’s iMAPS I can see a 200′ corridor (100′ each side of track) owned by the NC Railroad Company adjacent to Cargill. The article does say that 200′ is the most common right-of-way width and that anything outside of the area is open for development. Portland’s Providence Park Stadium easily fits into available area without encroaching on RR boundary depicted. iMAPs shows a 100′ width easement at Gateway (50′ each side of track) so half the width of Cargill but it still causes a problem. McDowell is US-401 so you can forget about getting an exemption to build in the existing right-of-way. Anything close to the size of Providence Stadium no matter how you orient things isn’t going to fit at Gateway! If you want to see for yourself take Google maps to 100′ scale and cut a piece of paper to size of the stadium you want to try on for size. Go to Gateway site set to same map scale and try to orient the paper to fit. Just isn’t going to work. Stew, Providence is too big. Try Children’s Mercy Park in KC. Overlay on Gateway…et voila! And, there’s nothing saying the architects have to use the same shape. Could be easily done without encroaching on McDowell. I realize all this is speculation, but it’s fun. Wish I worked for Gensler, would be so fun spending other people’s $$$! When I look at google maps and zoom way into DT, it would appear that the RR easements are already accounted for in the property lines. You can see the easement change size as you move down the tracks. If this actually represents easements, then it’s not just RR easements that limit Gateway; it’s also the roadway easements on MLK, McDowell and the interchange of the two roads. Guess you have never dealt with the Rail Road. They won’t budge on any part of that main line. Dreaming is nice but it ain’t gonna happen if RR giving up anything is needed. Any part of land south of City Farm will not be redeveloped as former landfill and Rocky Branch sewer outfall which serves half of downtown & NCSU. Penmarc Drive maybe. Saw Site plan for townhouse all along Penmarc but not sure if moving forward. As for the delay on State land. Any delay will hurt as potential buyers move on but will not devalue the land. The State got more $$ for Dix but Bev’s deal was long term lease as new one was sale which included State paying big part of environmental cleanup. Sorry John532 no link to the site plans as not public. Don’t see soccer happening on Kane’s site along St. Albans as master plan didn’t include soccer or any sports facility. Soccer doesn’t pay like office buildings and apartments$$$. Leo, congratulations on 10 years. I’ve been following you since the beginning and I’m amazed you’re not only still here, but seem to be increasing the detail as well as the scope of your blog with each passing year. No small feat at this point in your life with peaking career and family obligations. Your blog is the gold standard for Downtown Raleigh. Thanks for all you do. 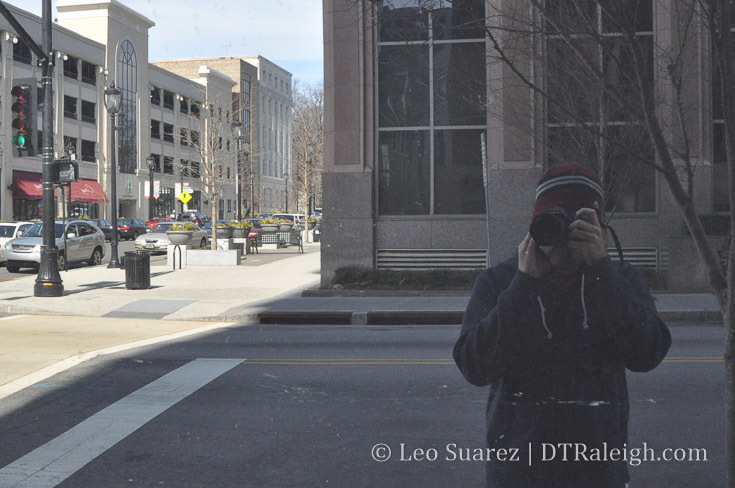 There’s no question that your reporting has helped shape downtown for the better. Well, not gonna argue. I certainly wouldn’t expect the RR to move or anything, and I’ve definitely never worked with a RR, it’s just that I can think of a dozen or so downtown stadiums across the US that are squeezed between existing infrastructure, many of them abutting RR lines. Or, where the city has “bent” streets to accommodate. Wishful thinking I guess!! Here’s to hoping! I just wanted to thank you for such an amazing blog, and your dedication to providing every onlooker with the latest information regarding our fabulous downtown. I love it! And thank you to everyone that posts! I enjoy reading the comments almost daily! 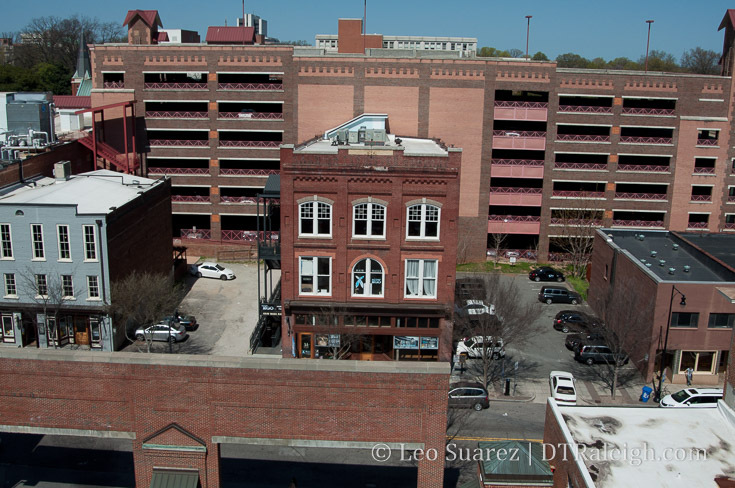 Nice video ABC 11 posted regarding the progress of the Dillon in the warehouse district. Any news on the closed session of the City Council meeting yesterday? @ Uncle Jesse , It usually takes a while for the minutes to be posted on the council website after each meeting . Stones Warehouse Project will get Permits any day . I talked to Mr. Kane today thru e-mail & he is part of The MLS Project ! @Dwight – so North Hills or close to Warehouse? @ Pavel , Mr. Kane just mention that he was part of the project & that he did have a tract that he was saving ! He did not give the location ! That’s great news, Dwight. Mr. Kane knows how to get sh-stuff done! Regarding the Cargill site and the tracks. Neil Morris, WRAL Sports fan writer that covers NCFC, told me that Malik personally told him that Cargill site wasn’t feasible due to the tracks. So I would take it from Kane having a tract reserved for it that it’s the North Hills location. Unless he’s demolishing half the warehouse district or putting it in the newly acquired property near Smokey Hollow. But that seems too small. I am interested to know if you are excited about the stadium going to the North Hills area? If the soccer stadium doesn’t end up downtown due to a lack of viable space, it makes me question the decision about the Dix property. Would have been an awesome spot for it. Who know? Maybe it will end up somewhere near downtown still. Wish Malik would go ahead and spill the beans. If it winds up being North Hills, I think we can kiss any chance we had of winning a bid goodbye. @ Robert , I’m pulling for Downtown ! I Love Downtown Raleigh ! Mr. Kane & I actually was discussing another project & during this , the MLS Project came up , so I wanted to share this info. on this Great Site ! Whoa. Smokey Hollow site looking like a good bet for the MLS stadium! Bound by Peace, West, Capital, and Johnson. DOT would need to close off Harrington to Peace. @mike, in order for Harrington to be closed, the square loop exit would have to use West St. and this would have to be cleared with the city and state who already designed the new intersection. A stadium there would also prevent practically any other significant development on that parcel other than wrapping the stadium at street level with retail. Yes Will, I did use the KC stadium which you say is smaller. @ Robert , We’re Good , I Understand ! I hope that I posted my post correctly on the message with Mr. Kane ! He said that he was working with the group that was trying to bring a MLS Franchise to Raleigh & that he had the space ! John532, correct. Just didn’t feel like explaining everything. Downtown stadium is the only option. Can you imagine 1 road in and out of NH for a game? We’ll never get a franchise with NH as the site. On a related note and as I’ve mentioned before one of the biggest drivers of securing a franchise on par with the stadium is going to be ‘fan support’. This is probably Raleigh’s biggest differentiator. All the other cities have or will have a stadium. Most are bigger cities with more corporate support. Detroit for example appears to be also funding a stadium WITHOUT taxpayer support. WE ALL NEED TO DO OUR PART beyond simply saying we want a stadium downtown. YOU NEED TO BUY A SEASON TICKET OR TWO, period! Perhaps, if it were oriented in an east-west fashion, it would fit in the area bordered by West St. to the west, the West Condominiums to the south, Capital Blvd to the east, and the new Johnson St. square loop to the north? It would basically be sandwiched between the West Condominiums and Kane’s Smokey Hollow building. Those folks in the upper floors would have killer views!! Plus, with GS right there, the pre-game and post-game festivities would be fantastic! I just purchased my first pair of season tickets ever this year for NCFC! Let’s make this happen! We will get a little more room on the north side of peace st once the project is completed and the exit ramps from southbound capital are removed. Would there be enough room on the north side of peace st (flythe building to the new capital bridge) for a stadium? Devereux Meadow II perhaps? The pigeon house river walk project could extend development further north and Kane’s Smoky Hollow could cater to the crowds. @bam – Yes, Devereux at the north side of Peace St. will gain a little space once ramps are removed but inbound lanes of Capital Blvd are being relocated further west. The Jersey barricade (which I think most everyone hates) is being replaced by a grass median and the new travel lanes are also going to be a bit wider. This is big reason Finch’s is going away and is also reason a Devereux II is likely never to be. I really don’t think North Hills is the proposed site – Kane has a lot more opportunity to expand office and retail offerings on the St. Albans land, and that’s what they’ve already proposed there. The Midtown Citizens Advisory Council voted to approve his plans to build a number of 5 – 7 story office buildings and a few 10-20 story buildings as well. @Stew. I thought that the lanes were narrower on the rebuilt Capital south of Wade because the speed limit is being reduced to 35 to be in alignment with DT instead of expresswayish like the northern sections. @Stew If you refer to the pdf: It looks like the current southbound lanes of capital will be the future northbound lanes. A new segment will be built just to the west which will carry the southbound traffic over the old finch’s property with an exit to johnson st after the bridge. The removal of the exit lanes to peace st from sb capital could add over 50 ft of streetscape to the block north of peace, just west of the new bridge. @John532 – The Capital Blvd Corridor study identified substandard lane width as being an issue to resolve. I was under the impression that the statement from report (below) applied to area in and around Devereux Meadows but I could be wrong. Jersey barrier with a landscaped median”. @Stew, I own a property at the Cotton Mill and have been following this very closely. As I understand it, the width of the lanes was set at 11′ to calm speeds that I have been told are reducing from 45mph to 35 mph all the way up to Wade Ave. The recommendation was for 12ft lanes initially. It’s a huge win that encourages a more urban identity for the very north end of DT and hopefully activates the parcels north of Devereux Meadows to a better use. With the landscaped median, visual connection between both sides will be made, even if it’s not intended to be crossed by pedestrians between Peace and Wade. But, we all know that people will cross it if they can. The median only makes that safer. @bam, you are correct. The lanes are basically shifting to the west (bye bye Finch’s) and the land savings that eliminating the southbound ramp to Peace would seem to provide will not be fully realized because of the lane shift. On the east side of Capital, a new service road will run from south of Peace to north of Peace and act as both entrance/exit ramps to Capital from Peace and as the access to a few parcels including the Cotton Mill. 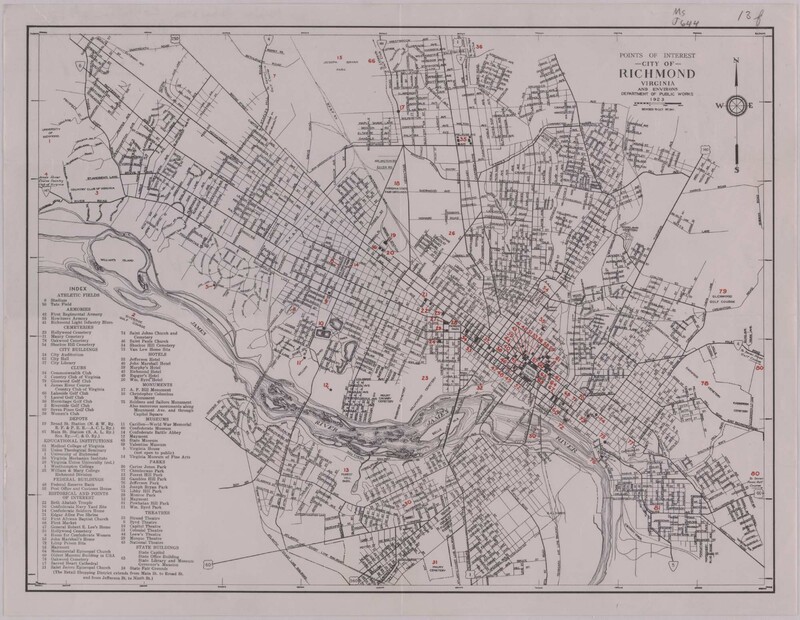 Can’t find the site, but I remember seeing some proposals for a pedestrian bridge crossing Capital to connect GS, 5 Points, West St. with Seaboard, Halifax, Cotton Mill, etc. Right now, Capital Blvd. is basically a canyon that divides that part of our city into east/west sections. Navigating the Peace St. underpass on foot or on a bike is not ideal. Ideally, I’d love to see 1) the greenway extended from Crabtree Blvd., down the Capital Blvd. corridor (or following West St. extension), and into Devereux Park, GS, and eventually downtown (maybe even to Dix one day), and 2) some kind of pedestrian connector so we can actually access the other side of town without getting in a car. Obviously we were not successful but I am convinced that the public agitation on the issue that was created forced the hand of the state and the designers to address these issues better than they were initially being addressed. We now have the narrower lanes in addition to better cycling and walking infrastructure for the entire intersection. The new bridge is also slated to be “designed” as seen in this youtube video. https://www.youtube.com/watch?v=5cgvem5sxhM&t=4s I am not convinced that this “design” is finalized but I don’t know that for sure. I was part of the chorus of folks (by way of emails and some “idea” writing at work shop) working for that at-grade intersection as well. I feel sure the square loop was the best compromise the City could get the State to go for. Still aggravating because the overpass doesn’t improve anything and the at-grade grade is the natural situation there as Fairview Road used to connect through Peace down to Johnson at grade on the current Capital alignment. Also Will, the entire greenway set of segments you mention either are certainly planned (Crabtree to Devereaux Meadows) or at least drawn onto the downtown study (green bike lane down west and on to Dix eventually). Not sure what you mean by pedestrian connector…I regularly bike to Dix down Boylan and cross at the Prison….a small side walk up to the old Dix entrance at Lake Wheeler, and reopening of that entrance would be nice, but I am not aware of any plans to do that yet. @John532 good info and thanks for your efforts. I love that rendering of the at-grade intersection and certainly agree this would have been the better option. @Mark, I was referring to a connector that would bridge the canyon that is Capital Blvd, the adjacent service roads, and the 2 parallel RR’s that essentially divide northern DT in half. The only way to get across on foot or by bike is via Peace St. (The Crabtree Creek greenway gets you across, but nowhere near areas of interest like Seaboard, Halifax Park, Mordecai, etc.). Having only one connection between east and west funnels all traffic through one bottleneck, making it a pretty dangerous proposition for those of us not driving cars. I like the proposed greenway over the new Wade Ave. bridge, but that still doesn’t get you over that second set of RR tracks. 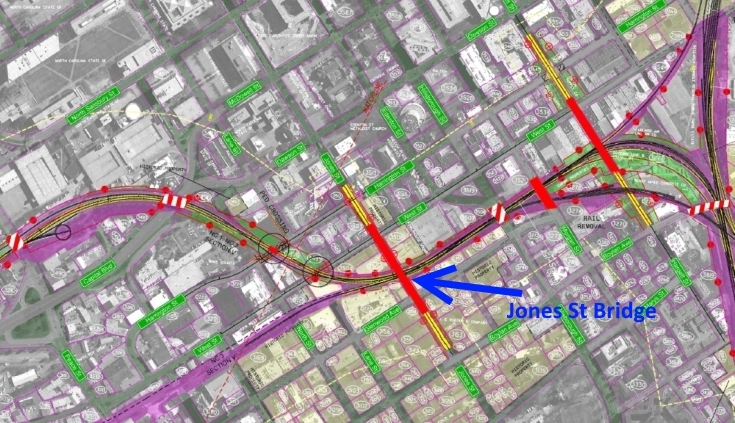 Pipe dream: a connection of Carson St. to Blount St. It looks like they were one contiguous street at one time. Will, sorry, that was’t clear to me. I am familiar with discussions to fly Fairview over to Halifax and Wade to Halifax, going back to the late 80’s. That chasm is a shame no doubt. 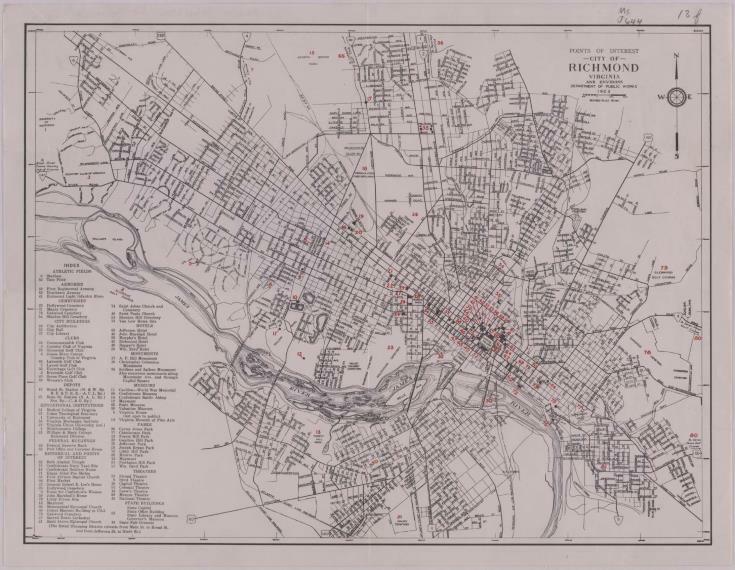 As far as I can tell from various old maps, Carson/Blount never did connect but I imagine it was loosely planned just like the Glenwood(originally called Saunders) to S Saunders was apparently. But I agree, that would be a welcome connection despite obvious pushback from neighborhoods on each end of such a connections. I should clarify: my pipe dream connector from Carson St. to Blount St. would be for pedestrians only…like the pedestrian bridge over the belt line just north of Wade Ave. Although I know it would cost a fortune! That’s a long span from Carson to Blount!! @Will, since a mythical pedestrian bridge would have to span across two sets of railroad tracks, you can bet your last dollar that it will never happen. @Will….noble thought anyway. I’d be happy if they just put in some crosswalks across Capital with pedestrian activated push button lights. With the Jersey barrier gone, there’s no reason why one or two of these can’t be installed. It will slow the traffic coming into downtown and connect the two sides of the road with each other. Alas, that will probably never happen either as the state is too concerned with pushing cars in and out of their government offices. @John532 agreed. I’d be happy with any improvement really. How about a pedestrian bridge from the Fairview bridge to Haynes St? Elevations are pretty good for clearances. Distance is 960′ compared to 440 bridge at 700′. Still likely expensive, but the benefits would be huge and probably substantial increases in bike commuting in addition to recreational users. Seaboard Harris Teeter would be less than a mile from most of Five Points neighborhood. I love the idea, but I think the Fairview bridge is coming down soon, right? Still, love the idea of connecting the neighborhoods in some way. I don’t personally work downtown, but if I did, this is the kind of thing that would mean the difference between car-commuting and bike commuting. Removing the Fairview bridge was the original plan, but the demo was removed. Bridge was repaired instead. It looks like the 220 The Saint project has come down in price per square foot. This was a good move. I just don’t think that the market exists for townhomes in the previous price point range. At over 3000 ft a unit, the project seems to be targeting those who want to downsize without actually downsizing interior space. Having an elevator in the units also tells me that they are looking for well to do retirees. I think that these will sell before the Brownstones will because of location alone. If I were a buyer, I’d certainly prefer St. Mary’s St. to a location sandwiched between a cemetery and a parking lot of a government building. @ Robert , No , I haven’t heard anything ! Hey , This waiting is tough isn’t it ? May be we will hear something before March 1 ! I have heard this , someone told me that he thinks that there is a possibility that Mr. Kane owns some land close to Carter-Finley , but he is not completely sure about this ? As mush as I love tailgating in the cow pastures near Carter-Finley for State Football games. This will almost destroy our bid for the MLS team. Wouldn’t that seem strange to have PNC, Carter-Finley, and MLS in the same area? Of course it makes since in regards to parking, but that might be the only selling point. Might as well just beef up the facilities over at WakeMed soccer park. You can quickly use iMaps to debunk that Kane owns land near Carter-Finley. Almost any large parcel is owned by the state. Dwight, appreciate your inside info sometimes, but gotta chill with the very loose speculation. @ Mike , Thanks & this sounds good to me ! Pulling for Downtown ! The property on which WakeMed Soccer park sits is owned by the state of North Carolina. If you look at Imaps you can see that a portion of Trinity Rd has already been built down on Cary Towne Blvd. The state has been trying to find a developer for that portion of the property and Cary is looking to build a mix use development potentially along the lines of a smaller North Hills. It seems that this potential might make Wake Med a little more attractive as a MLS site. John532 I think those two projects key difference is does a person want Glenwood on their front doorstep Friday and Saturday or do people prefer quieter. I’ve lived both places recently and the differences are stark. IMO the bigger money prefers Hargett Place and Glenwood vicinity continues to degrade slightly with a saturation of trust fund apartment kids. Houses in east downtown are being built and rehabbed at a brisk pace still, and is what makes me think as I do about the two townhouse projects in question. @Mark, I’m sorry but I think that your analysis is a pipe dream. Glenwood degrading? Seriously? Glenwood is about the take it to the next level with its east side ready for substantial urban retail development. Isn’t Hargett Place directly across Hargett Street from one of these “Trust Fund” apartments that you lament as degrading Glenwood South? …you know, the side that isn’t facing the back of an ugly government parking lot or the side that faces the cemetery. While I see that the east side of DT is gentrifying, this project is way too in front of the curve when it comes to pricing. I said the same thing about Bloomsbury and The Quorum on the west side of DT and look what happened to those projects. Yes, I know that the recession hit but these properties were WAY overpriced and not moving in the market when it was good. Quorum was across the street from the bus station and Bloomsbury had rear views to Central Prison. Both were targeting the very high end of the market in less than perfect locations and they weren’t moving even before the crash. I thought the same about the The Saint project when it was announced. I thought to myself, who’s going to pay a million+ dollars for a townhouse in that location? My guess is nobody. If I were a luxury or upscale buyer on the east side of downtown and was willing to drop over 3/4 of a million dollars on a home, I sure as heck would rather follow the lead of others and have a fantastic contemporary home custom designed and built on a lot that I’d purchase with better immediate surrounds and more upside to my surroundings in the future. If I didn’t want the hassle of a home, I’d certainly look at the 10Arros project first since its aesthetic & price point is more in line with what’s being built on the east side than the fake brownstones that have absolutely zero relationship to the emerging context of the neighborhood. As I said previously about this project, the problem is that it’s not large enough to establish a brownstone type neighborhood with a sense of place and the interrupting driveways really makes the overall project feel contrived. Had this project been several full blocks with linear alleys that all ran north/south through each one and the homes facing east and west, it would have been a lot stronger. Had those blocks had more variety in both style and sizes of homes, it would have created it’s own neighborhood context for the overall project. Alas, it doesn’t. Can someone please explain to me why Google Fiber bought and moved into that former old Italian restaurant building on Glenwood South? I noticed that they have had “a” party there but really, what is the long term use of the building supposed to be? Perfect place for a restaurant, and maybe even an Apple Store but I don’t foresee a lot of foot-traffic going in and out of there? What am I missing? I hope that it doesn’t end up like that old work bench in the garage that gets used twice a year and used to store things on the remainder of the time? @John532 – I agree with you. @Robert – yes.. I’m a bit confused by this space as well. We went in there.. and it appears to be a lot of just space. Maybe they have plans for this.. idk. I do agree apple would be better there.. however I am still holding out for a tear down of glenwood towers and a huge retail / business type building to take its place.. that apple could create a great space in… right on glenwood. @Robert – From the moment I heard Google had taken possession of that building I’ve lamented on what a waste that is. I happened to be driving by the other night when a party was under way there. Mwah … I thought to myself … what’s the point of that? People standing around sampling horderves relishing in their Googleness. If I’m understanding iMaps correctly the property isn’t actually owned by Google. I suppose there’s always hope Google will vacate in a few years as their lease expires. Incidentally, the property was purchased back in 1994 for 380K … LOL. Not a bad ROI there. The Google space is their retail location. Google just like TWC is required by law to have brick and mortar retail space in the markets they serve. This would be a location that is used in a similar fashion as the TWC space up on Atlantic. I for one am happy they chose DT over throwing it out in some industrial park. 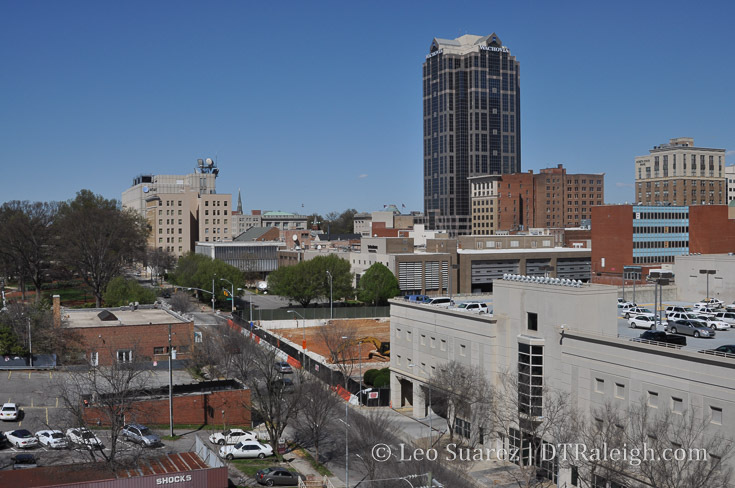 It seems as if 4 of the Hargett Place units have already sold and are under contract. Just a Thought Guys ! The City Council Agenda for Tuesday 2-21-17 shows a study on relocating Fire Station #1 in downtown & also finding a new location for The Fire Dept. Headquarters . Would this have anything to do with a Stadium ? @ Dwight. No. this most likely has to do with the beginnings of the new ‘government center’ on Nash Square being planned, though the Fire Department HQ may need accommodations now. Fire Station 1 has been on the planned upgrades along with several others around the City. Can’t have sliding poles any longer which that station still has if I recall. Must be a slide, etc. The current building is too old and probably too small. The area in question is way too small for a stadium site. @ Uncle Jesse , I was mostly thinking about The Keeter Training Center , but I just learned that this is in a flood zone ! If you are going to build a stadium… put in the flood plain. Yes, it will get flooded from time to time, but better a grassy stadium with plastic/metal seats that can be powerwashed than houses. This was the same thing they talked about for years in Richmond before the R-Braves left. They wanted to build a new stadium in Shockoe Bottom and I was all for it, especially after going through all the flooding with TS Gaston. But to many NIMBYs got in the way and we lost the Braves to Gwinette County GA.
@Nick. I agree about putting it in a floodplain if it gets the stadium downtown. @ Nick & John 532 , I also agree with you ! Four years ago , I was @ The Keeter Training Center to see The Fire Battion Chief concerning a sewer easement & while there I walked by The Chief’s office, so as far as I know , this is still the fire headquarters . The Council Agenda does say that the headquarters will be moved & the project cost is app. 24 million $ in 3 phases. For those who are interested iMaps has a floodplain layer. I turned it on and can confirm that the Keeter site is in a flood zone as Dwight states. In fact, part of the tract is in the floodway where no encroachment is allowed. The remainder of the parcel is in a zone called “1% annual chance of flood” which must be another term for 100 year flood zone. The area where encroachment isn’t allowed isn’t that big but it’s probably enough to stop a stadium project here as lot size is on the smallish side to start with. Cargill across street is outside of the flood zone except for a very small portion in a 500 year zone. Hmmm … according to iMaps much of the area where Mr. Kane is planning to develop in and around West St. is also in the 100 year flood zone. I wonder what the plan is for this? The devereux meadows park could be planned to sequester some flooding potential of adjacent flood plain. Creating green space in the city with better management of stormwater and a small water feature – I’m more excited for this than any of the 20 story buildings proposed. Property next to 301 Hillsborough just purchased. So I am Mark J. now that another Mark just showed up (10 post up). @John532 RE the 220 The Saint vs Hargett Place, sorry I didn’t mean to touch a nerve. I certainly agree with the last portion of your post. But I still feel that Glenwood is such a s*&^show on the weekends that it drags on the market over there. Maybe its just because it hasn’t been my thing since about 2002 or so. But I still drink too much myself and love proximate places for doing so. I am also well aware of the Lincoln’s presence…I walk past it every single day (as I used to walk down Glenwood every single day). There are certainly weekend parties there and such…totally fine…but without it being glued to a stretch of clubs, its noise washes out in the quieter backdrop as opposed to being part of the weekend amplification around Glenwood. So….220 has better architecture than Hargett’s so-so attempt at being a brownstone (real brownstones would be nice once in a while), I concede that is a hard component to overcome in this competition for buyers. But the last real rush to buy in the Glenwood area was 510 and Paramount….all the other projects were absorbed slowly near Glenwood and including Tucker’s decision to switch from condos to apartments, (I could argue poorly thought out projects caused the recession, and not vice versa)I get the overall feel that Glenwood short term money in every regard to me….you gotta get to Cameron Park or Boylan before people are laying down roots…east side, single family house roots are being planted steadily. Root laying in downtown is being done by people with money to sink…so I am standing by my thoughts until I see things play out differently. To be fair, I think Smokey Hollow might be enough hype to allow things like 220 to coattail in on. But equally so, Stones Warehouse will encourage the upper middle class hipster rush east, at an even faster clip than north Person is. I think it’s fun to speculate about this, and not so much argue to the point of popping veins out of my neck(I will drop the gloves over historic preservation so be warned)…so thanks for the input..I read each POV with an open mind and acknowledgement that there are few concrete determinations to be made in an environment as fluid as downtown Raleigh’s. If nothing else, the changes are interesting and often exciting to witness and it works out well that there are different types of areas to live in, despite a geographically small downtown. @ Robert , ” SUPER ” ! @Mark J. I respectfully disagree with you regarding Glenwood South. I think it has a great mix of numerous things.. business, restaurant, night life, and for now.. just a bit of retail… which will grow as more projects come in such as smokey hollow… harris teeter in Seaboard.. Glenwood one and two.. I feel like that entire area is going in a great direction.. Especially if they continue to bring in great restaurants. Think about it.. Glenwood South.. has The Raleigh Beer Garden.. which has THE MOST beers on tap in the ENTIRE world. That is incredible for this area! My personal opinion.. I think Glenwood South currently has the most to offer in one area.. and along with the surrounding area.. has the most potential. oh.. and the warehouse district as well.. I can’t even begin to explain my excitement about the dillon and union station. I agree I think the Stone Warehouse is going to be awesome! I’m really excited about it.. but also really excited about Morgan Street Food hall as well. @TheNightHawk. You and I are on the same page here regarding Glenwood South. Is it perfect? Certainly not. Is it mature? No; it’s more like a teenager. But, guess what? Teenagers grow up and become adults. The evolution of Glenwood South has followed a recipe that many gentrified neighborhoods have taken across the country and the world. Food and good times are usually the first thing that comes to a neighborhood followed by housing. Retail typically follows while the food and fun scene mellows as the youthful scene becomes bored and wants to explore somewhere new and exciting. Let’s face it, Glenwood South’s scene is getting a little long in the tooth. It’s getting to the point where today’s 21 year olds can hear stories from their parents about Glenwood South’s early days. Changes will come and I think that they will be for the better as it matures into adulthood. Vidrio is the latest example of the maturing process. I’ll build upon what TheNightHawk says about upcoming projects in the greater Glenwood South district. With the addition of the growing Smokey Hollow project and a restored park at Devereux Meadows, Glenwood South will be the most robust urban neighborhood in the city with the most to offer its residents. It’s also going to link nicely to the Warehouse District as the area between the two neighborhoods develops, making an almost seamless westside urban experience from Union Station to to Peace Street within a couple of years. The development nature of downtown’s westside is completely different from the eastside too. To me, the eastside feels more “residential” than mixed use. It feels more edge neighborhood than it feels like part of downtown proper. In fact, most of what’s talked about today as DT on the east side doesn’t even fall into the boundary of Raleigh’s official downtown boundary. As an example, the boundary ends at East St. on the west side of the Stone’s Warehouse. I’m not saying that one is better than the other; they are just different and there will always be preferences for one model over the other by individuals. I’m just saying that they are different development models with different missions. This difference is even reflected in the UDO of land tracts from Glenwood South to the eastside. A lot of the eastside jumps to a R10 zoning rather quickly, further reinforcing that that urban footprint development is asymmetrical and more heavily weighted toward the west side of the Capitol Building than it is to the east. Concerning The One Glenwood Project , the hotel part has been delayed ! Was the hotel supposed to be part of the first building? I think that the hotel was phase two and across the street with the parking. You are Welcome Robert ! John 532 , You are right ! A deck is being built now across the street for One Glenwood ! I noticed today that the two houses on Lenoir st behind the Baptist Headquarters have been raised off of their foundations and are being prepped to be moved. Does anyone have any more info on the hotel that is planned for that corner, Lenoir and Wilmington? An article in today’s N&O says that Wake County is supportive of bringing MLS to Wake County and will be writing a letter showing support at its next meeting on March 6th. A symbolic gesture, but a positive gesture nonetheless. ? @Dwight – any additional information you can provide regarding phase II of Glenwood One? Or they saying just delayed? @ NightHawk , The only thing that was said to me was just delayed on the hotel part . At this point , some soccer people has listed Raleigh in 5th place concerning the 12 cities , just their opinion ! Other opinions show Charlotte in 5 th place . The soccer people that considered Raleigh in 5th place gave Raleigh a grade D+ in the stadium column because of not giving the public rendering / 3 locations of proposed stadium ! I have to say that the never ending hypothetical soccer, baseball stadium talk has run its course. Until there’s an actual team moving downtown, can we please stop hijacking each new posts to talk about the same thing over and over and over…. I love sports, but it’s really annoying hearing about something that isn’t even happening. When the announcement of a team moving downtown is official, then I’d be more than happy to read about it. Until then let’s drop it. MLS talks are completely relevant here as Malik has said he wants the stadium in or near downtown, so until it’s announced that’s it’s NOT downtown, you should stop whining and scroll past comments you don’t like. @Jake… I agree that we can grow and be a great city without MLS. I personally would prefer not to have MLS and have another sport come in. BUT.. with that being said.. I think if we continue to bring in more and more technology companies.. I think that is what will continue to drive our city to grow. And definitely like the idea of being known for our restaurants as well! We just need more of them! @ Chad , I respect your opinion ! I hope that we all can agree to learn to disagree ! I feel that all great cities should have a sports stadium somewhere downtown or close by ! JMO ! I’m very impressed with what I see in Charlotte ! I know many of you have traveled more than I have, but I have been downtown in some super neat cities , Boston , Dallas , Austin , St. Louis , Memphis , NYC ,Pittsburgh , & others but @ the time the weather was too bad to really see some of the tops of the towers . I want Raleigh to have a bigger, taller downtown & I know that all of you want the same . Walking downtown , I have heard visitors say , I thought that Raleigh was bigger than this ! At the same time , I am very proud of our current & future growth in downtown Raleigh ! It’s Super ! While I’m writing this , I just got a call on this ! 112 /114 Demo Permits was issued for Lenior St. in Dec. & 603 Wilmington St. is being rezoned ! Not sure on what kind of change about the rezoning request ? @Dwight – Yes I agree.. Would love to see taller buildings. But also agree with Leo’s blog where he mentions street engagement. So if these buildings had great restaurants, bars, retail, etc at street level that connect with people on the street like some of our current short structures.. I feel that would be the best situation. Raleigh has chosen Brooklyn Bridge Park design team Michael Van Valkenburgh to lead the DIX park design. Very optimistic considering the work completed in NY. If you have not seen the park redesign in person I suggest googling the images. Honestly, a downtown soccer stadium would be dead most of the time. It only gets used like once every two weeks for soccer. An apartment block with nice restaurants would generate substantially more foot traffic. I mean, I don’t care one way or the other, but I don’t see how this would be more desirable than typical urban development. @ Steve , That’s one of my reasons for wanting baseball downtown ! 70 + games of minor league ball , hopefully having 7,000 + fans watching a NCSU / UNC , ECU , Duke , baseball game , possibility of a St. Aug . ,Shaw , NCCU game , plus other events , ect. When NCSU played UNCC @ Charlotte’s AAA Team Stadium, there were 7,438 fans ! I believe NCSU would do the same ! I know Jake loves this post ! St. Paul , Minn. Independent baseball team drew over 400,000+ event people to their stadium the last two years ! Sugar Land , Tx. drew over 374,000 event people last year that is in The Atlantic League ! Jake , I Agree ! Take Care ! Honestly, I think soccer would draw more people than a baseball team. First, it would be a single A team, so 7,000/game is astronomical. The number would almost certainly be more like 3,500 at most. Multiply that by 70 games, it gives you <250,000, while an MLS team that drew 18,000/game (which is actually a little below league average) would generate over 300,000 for just 17 nights a year. My larger point is that I don’t think any sports stadium would create more business than regular urban development, so I don’t see the benefit of putting it immediately downtown. @ Steve , You may be very right on the numbers ! The Atlantic League is AA Ball . 40 % of the league players have playing time in MLB . St. Paul , Minn . Stadium is just 13 miles from The Twins Stadium & they sold out every home game the last two years , 8,100 + & 8,400 + , in 2015 / 2016 . Durham averaged 7,400 fans & The MudCats averaged 3,013 fans . Charlotte averaged 9,800 + fans ! Sugar Land’s Stadium is 25 miles from The Astro’s Stadium & I think that they averaged between 4,500 to 5,000 fans per game ! NCSU Stadium seats app. 3,000 & it is standing room only @ The UNC/ECU Games ! @Drew just checked out some Brooklyn Bridge Park pictures, and I’m very impressed/excited! Obviously, we don’t have the East River frontage with Manhattan backdrop, but my favorite thing about it is what they call an “urban junction” where the park and the city grid meet. This will be a challenge for them @ Dix, as the city didn’t do itself any favors building a divided highway into DT that separates Dix from the city core. Interested to see how they handle this. As I’ve said before, one of my biggest gripes with DTR is these expressway-like arteries that divide the city into zones that can’t be traversed safely by pedestrians (Capital, Western, S. Saunders). Here’s to hoping the design team can solve this one!! Given the topographical elevation change on the parkland, I sure hope that they take advantage of that. I’d love to see some sort of cantilevered overlook or a tree top walk/loop from the top of the hill. We have to take advantage of that view. An aerial cable car would be iconic as well. You would be able to generate revenue to justify the cost and also provides a view of the city and new park design. @Drew. A developer in Miami wanted to do the same thing from Miami to Miami Beach as both a slow transportation method to take you from one side of the bay to the other and as an attraction for tourists coming into port or staying in Miami Beach. Singpore has a circular skywalk of sorts in the gardens behind the Marina Bay Sands complex. I didn’t go up on it but I did see it and it looked really cool. With that elevation change so close to DT, it would be a real shame for it not to be leveraged and exploited in the design of the park. They have something similar in Barcelona too. John532 & Nighthawk…I’ll try not to beat a dead horse (the MLS speculation is more fun to read about now as a lifelong soccer fan and player). I agree with quite a lot of both of your guys previous posts. Two ‘my opinions’…Beer Garden is not the banner to wave around to claim beer supremacy with. Its good and has a ton of selection for sure, but as the saying goes…more isn’t necessarily better. They are trying to be a Disneyland of craft beer…sort of a dichotomy in my mind. Second, Glenwood is sort of in a high end restaurant slump now compared to the early original buildout/hayday…Much of 222 is empty, the old Enoteca Vin space is empty, the 510/Rocky Top places never last….a few places like Sushi Blues, Mellow, Armadillo, Mojos and a revamped Rockford have held on, but most of these are middle class (middle class is fine of course! )…the change over in the area seems faster than ‘normal’ restaurant evolution/revolution I think mostly because the idea that Glenwood is a fancy pants, white table cloth place has never really been the case (Sullivans being the exception there). I hope the area is going through a maturing phase with the Pharmacy Cafe, and the many many actual residents around there now, plus the bookends of One Glenwood and Smokey Hollow. Whether that maturing is enough to coincide with the marketing and eventual sales of 650k townhouses at 220 the Saint or mostly supports a middle class housing environment (represented by our high end apartments) will be an interesting test of our various predictive powers…. Not to completely mutilate this already dead horse, but when is there supposed to be an announcement by Malik of which site he is actually going with, and when will MLS announce the winning bids? Jeff, not sure when he’s going to announce the site, but I believe the first two expansion teams will be announced around the All Star game on August 2nd. The next two don’t have a timeline yet. 4 expansion slots total. I’ve heard Raleigh is most likely the 4th or 5th ranked team of the 12 that submitted bids. Here’s my question, is construction of a new stadium contingent on winning an MLS bid? Apparently, he submitted different sites/designs with the application, seeking feedback from MLS. I wonder what happens if the tea leaves say the bid isn’t happening…does he build it for his NASL team anyway? Will , My guess is no ! JMO Will ! So looking forward as everyone is to knowing the 3 locations ! Just curious, where is everyone hearing that were ranked 4th or 5th in expansion talks? @ Will & Dwight, I would assume that the construction IS contingent upon getting an MLS franchise. That’s a lot of dough for a NASL/USL stadium. @ Paul, great question. I think we’re in a better place than Charlotte, but Nashville worries me. I think they take one of the 3. Too much space between DC and Atlanta not to have a franchise. This is the only unofficial ranking I’ve seen and it sounds pretty fair…takes HB2 into account. Thanks a bunch Mike ! Great Info.! Update: The houses are now gone. Not sure where they moved them but the lot is one step closer to having a hotel there! Those houses were moved to Bloodworth between Davie and Cabarrus.